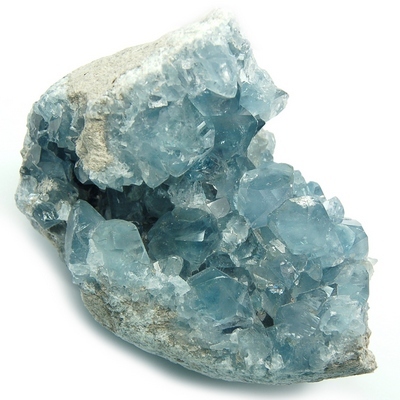 I purchased a Celestite cluster, which is so incredibly beautiful. I use it mainly for calm in my bedroom and to relieve mental stress. This has amplified the dream state. I would like to know if I can use this for communication with deceased relatives. I am considering using this to contact my father with whom I was very close. Thank you. Thank you for your inquiry. Celestiteclusters are quite beautiful, and their shade of blue is indeed calming. As Celestitenot only connects to angelic realms but also strengthens the throat chakra, so it would be a fine choice to use to communicate with your deceased father. Perhaps you can program it to communicate with him, sleep with it, and record any dreams you have for messages. You could also meditate with it for any messages from within.